This soufflé works wonders as a light lunch served with a frilly green salad. Cut a 42cm/16in piece of baking parchment in half lengthways. Fold one half in half again and tie around a 13cm/5in soufflé dish using kitchen string. Lift the paper so it creates a collar that rises around 5cm higher than the dish. Butter the inside of the soufflé dish and the paper generously. Put the milk in a small non-stick pan and add the onion, bay and thyme. Bring to a gentle simmer then remove from the heat and set aside to infuse for 15 minutes. Melt the butter in a heavy-based saucepan over a low heat. Stir in the flour, cook for a few seconds then gradually start adding the milk, a little at a time, stirring well between each addition. When the sauce is smooth and very thick, continue to cook for a further two minutes, stirring constantly then remove from the heat and stir in half the goats' cheese. Whisk the egg yolks lightly and stir into the milk mixture until smooth. Season to taste with sea salt and freshly ground black pepper. Pour into a large mixing bowl and cover the surface with a sheet of cling film to prevent a skin forming. 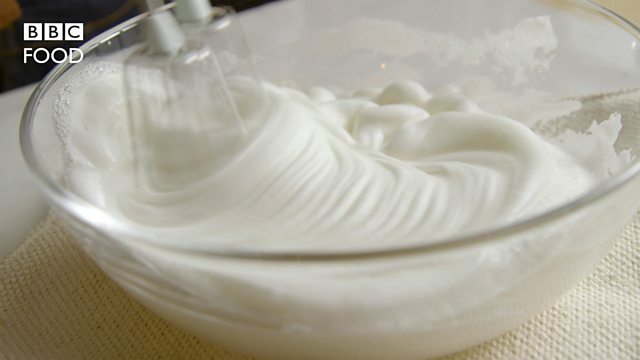 Whisk the egg whites with a pinch of salt until stiff but not dry. They are ready when you can turn the bowl upside down without them sliding out. Stir the chives into the cheese sauce. Fold in the remaining cheese. Fold in a large spoonful of the egg white until combined, then fold in the remainder. Bake on the preheated baking tray in the oven for 23-25 minutes or until golden-brown and risen. Remove from the oven, remove the string and serve the soufflé immediately.